Sunday! Sunday! Sunday! BE THERE! Or, if you're from across the Pond and don't understand the "call to Raceday"...Sunday Bloody Sunday! It's the final day of Hooky playing Hooky! Nothing like going to Church with thousands of spiritual seekers outdoors! 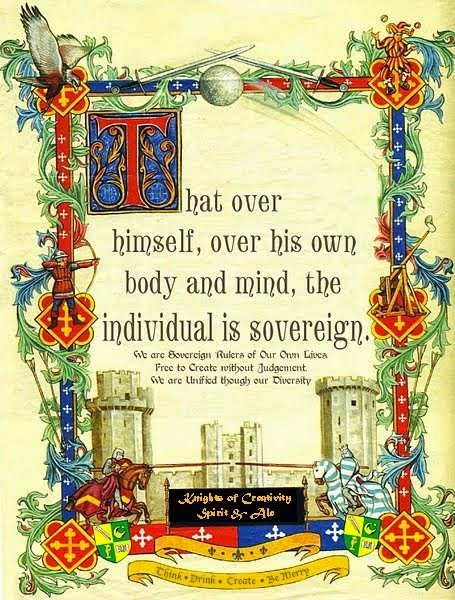 Today marks a historical moment in the history of The Knights of Moleskine Spirit & Ale....our 700th post! It also marks the final day of one hell of a music festival for this ole' rocker! With the heat index expecting to reach the 100's...we'll have to keep well hydrated to make it all the way to the Killers closing Set tonight without killing ourselves! 11:45am - Sam Roberts Band: Infectious Canadian Rockers are a new discovery due to listening to the Lolla web site before today's events. Their song, "The Kids Don't Know How To Dance to Rock N Roll", will have them quickly learning how! 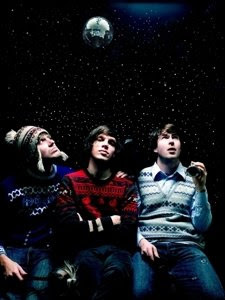 12:30pm - Friendly Fires: English dance-rockers who inspire early afternoon hip swiveling. Lovely! 1:30pm - Bat for Lashes: Pakistani born beauty queen, raised English and charming the world as the new Ambassador for artsy music! Sonic landscapes shape around her voice that makes you Bat Your Lashes repeatedly! 2:30pm - The Airborne Toxic Event: Another one of my new favorites! This LA based band has been featured in the KMSA blog before for their timely and catchy name, not to mention their outstanding music! 3:30pm - The Raveonettes: Awash in Reverb at a Chelsea Basement Bar, I feel the grass on my bare feet and smile! 4:30pm - Neko Case: Another Starbuck's discovery for me. Neko has catchy tunes and a lovely voice. 5:30pm - Dan Auerbach: Not only is he from Dayton, OH...but Dan is also one of two of the "Black Keys". Can't be all that bad?! Right! The Sixties come alive with new technology! 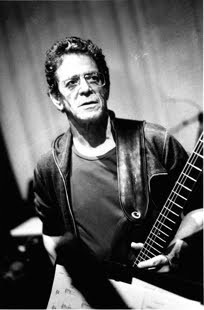 6:30pm - Lou Reed: Speaking of the 60's...Need I say more?! If I do...then you should be dead and laying on top of your Velvet...Underground! 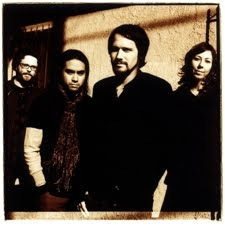 7:30pm - Silversun Pickups: Childhood friends from LA, who's pickups (not the driving kind) ring out Rock N Roll Heaven in the Silver Sun! 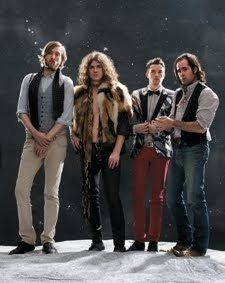 8:30pm - The Killers: This Las Vegas band has been "Killing" me for a few years now! "Smile Like You Mean It" has to already be a classic! Sorry Jane's Addiction (playing on the other side at the same time)...but we're tired of wrinkled old farts. Of course it takes one to know one! LOL! So there you have my Final line-up. You can share in the action by downloading a free iPhone Lollapalooza app if you own an iPhone, or you can visit the official website with links to the bands at http://.2009.lollapalooza.com. And make sure to stay tuned for my up to the minute Concert Comments....and thanks for taking this very fun journey with me! Good morning "Arm Chair Rockers"! Welcome to Posting #700....YEAH! Yesterday's recap had Dirty Sweet still taking the "Set of the Day" honors from ole' Hooky. Simply amazing guitar playing, grooves and stage show! Surprises of the Day: Getting to meet and have my picture taken with Ida Maria...watching 10 year old Quinn Sullivan rip it up with Buddy Guy...and running into my doc friend Phil Gilson at Ben Harper and the Relentless 7 set. 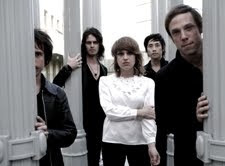 My "Cruel Overlaps" for this Sunny Sunday: Friendly Fires vs. Ra Ra Riot....The Airborne Toxic Event vs. Kaiser Chiefs...Neko Case vs. Vampire Weekend...Silversun Pickups vs. Band of Horses. Hope your survive the final day....and enjoy Living in the Past....as our good mate Ian Anderson of Jethro Tull likes to tell us! 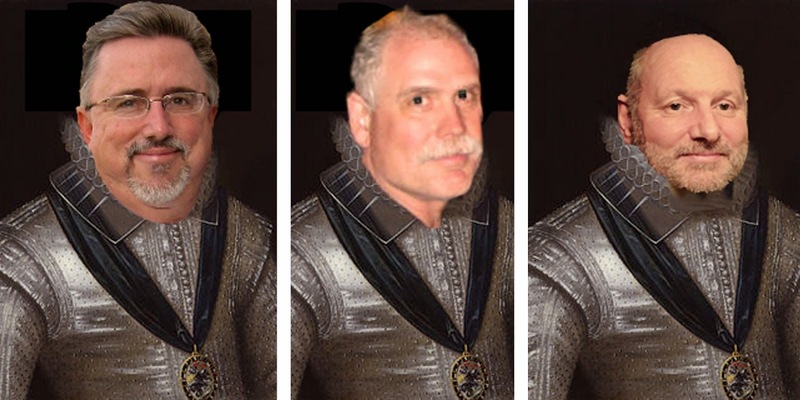 Sir Richard....of the Beaver farm.....its a bumper year!! I've been away at the lake, so this is the first opportunity to check in. Holy crap -- you've done a lot of musical living in the past several hours. I look forward to reading all the updates in details. minute addition this AM, had a great stage presence, great songs, great lyrics and delivered what could easily be the set of the day. In the Spirit of Unity Through Diversity the Canadian kids kept ole' Hooky cool with ice water showers and I sang Oh Canada with them after the set. WOW! Friendly Fires where a delightfully fun dance band! The singer got out into the crowd and got the party started. Another Fender Jaguire in the band. Listening to Bat for Lashes. Her beats are much more powerful live. Diffently a mesmerizing performance! All female except for one male. I would call her Englands slightly more pop answer to Enya. I can't help but feel like I should be listening to this under an Elvish starlit night in Rivendale! Airborne Toxic Event made the heat just a little bit hotter. Great party atmosphere and a fun band! I didn't realize that the female member also plays violin. Listening to recordings I assumed the strings where all sampled keyboard parts...which they did do too. Nice to see a band I've liked for a while who would otherwise be difficult to catch live! Ravonettes are just what I expected and one of those rare bands who carry the studio recording sound with them on stage! Excellent and well worth risking a heat stroke over! LOL! It's a freakin' 101 degrees right now! Some like it hot...but not this hot! Props to the bands today who are doing an excellent job in this environment! Neko Case sounded good for the first four songs...then the heat just got too much to handle. We have decided to retire to the Penthouse and finish listening to the bands with the air conditioning on full blast from the balcony. That means we'll miss Lou Reed (no big deal to me) and the Silversun Pickups (a slight disappointment). We're going for dinner after three days of Lolla food and then take a Taxi to catch the Killers closing set. All in all, it's been one hell of a three days! WOOOOHOOOO!